It starts in the distance. A quiet, slow, solitary clap echoes. Clap. Clap. Clap. Then another person joins in. The two claps in unison: clap, clap, clap, until another joins in. Then another. The rhythm breaks into a cacophony of applause as more people join. The crowd roars. And the clapping and cheering is all of sudden the embodiment of tribute to the triumph over adversity, the struggle to improve oneself, and to find success in one’s endeavors. The sports movie genre is one of the tried and true genres of Hollywood and the American multiplex. The genre relies upon American audiences’ affinity for sports in general and for classically structured narratives that play on culturally specific ideals, such as triumph in the face of failure, overcoming adversity, and self-improvement. But, like the slow clap, the majority of sports movies are made from the same building blocks, the tropes and conventions remain unchanged. With hundreds of sports movies out there, it’s tough to be original, so if you’re ever going to make a sports movie there’s some basics to keep in mind. Step 1: Pick your sport and decide whether it’s a drama, comedy, or sports rom com. Keep in mind that baseball (A League of Their Own, Field of Dreams, Rookie of the Year, Angels in the Outfield, Major League, The Sandlot), basketball (Space Jam, White Men Can’t Jump, Hoosiers, He Got Game, The Air Up There), and boxing films (Rocky, Raging Bull, Million Dollar Baby, The Fighter, The Hurricane) outnumber other sports films nearly 2:1. Sports such as golf (Caddyshack, Happy Gilmore, The Legend of Bagger Vance), hockey (Miracle, Slap Shot), soccer (Bend It Like Beckham), and surfing (Blue Crush, Surf’s Up) will struggle more to make a decent amount at the box office and pull in a wide audience. Alternatively, you can also choose an Olympic-themed sport (Cool Runnings, Blades of Glory, Miracle, The Cutting Edge, Downhill Racer). While a comedy or drama may dictate your characters, many of the same story beats are the same, with the exception of the sports rom-com (Tin Cup, Bull Durham, Love and Basketball), which has fallen by the wayside in recent years. Rookie of the Year’s hard-nosed, scary veteran. While most of the recurring character tropes are relegated to the background players: the cocky star player, the scary, hard-nosed veteran who is really kind at heart, the outsider coming in (aka fish out of water), the goofy player, or the evil guy on the rival team who antagonizes the hero(es) but who, by the end, will acknowledge the accomplishments of the underdog(s) with a subtle nod or respectful handshake, there is always one character that is often a driving force of the narrative: the washed up coach. Sure, back in the day they were probably the king of their sport, until something happened, they cheated, they got injured, or they just narrowly missed their chance at fame and fortune, leaving them depressed, dejected, and sometimes drunk. 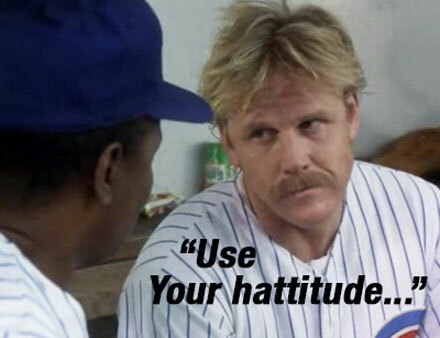 Until they get a second chance by helping a ragtag group of misfits achieve the greatness they can no longer experience (Any Given Sunday, The Mighty Ducks, Bad News Bears), they are: The Inspirational Coach Character, and they are fundamental to nearly all sports movies. Step 3: Choose your narrative conflict. Is this your typical David vs. Goliath story? The underdog, the scrawny kid, the team no one expects anything from, the kid from the wrong part of town (Karate Kid) Comeback story? Fallen from greatness, the protagonists must regain their respect through self-respect and individual responsibility. 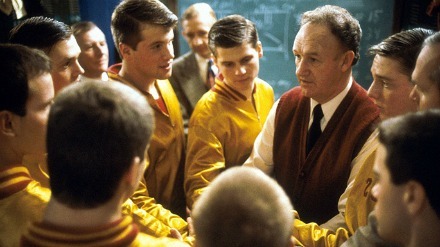 They get teased, laughed at, beaten down, but it only pushes them to achieve greatness (Rudy, Hoosiers, Cool Runnings). What about an overcoming racial barriers tale, usually a period piece? (Remember the Titans, Pride, 42). This is the end to the first act of the story, wherein the hero or team is pit against a bitter rival, or a heavily outmatched team, leading to a humiliating defeat. All the protagonists’ flaws are exposed and all the cards are laid on the table; at this point we know how far they will have to go to become champions. From this event, the team or lead may be about to give up, with a fellow player, or parent, or evil rival team member reminding them they aren’t good enough and shouldn’t even be trying. This gives them even more impetus to strive for improvement, respect, and to show they can’t be beat down or intimidated. Montages are almost a requirement. More often used in a comedy, this part is filled with slapstick and antics. 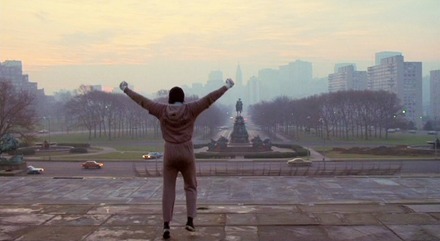 In a drama, it can even function as a useful comedic break but it’s use is more limited to the training montage, a la Rocky. The bad team is really bad, they start to find their groove (often through the efforts of the Inspirational Coach Character), they goof around and have fun, and begin to win as a team. Ultimately, the loser begins to blossom into a contender. Step 6: The Pep Talk! Once the underdog team or hero has finally made it the championship, travelling a long and hard-fought road, another push is needed to get them to the win. They may be in the middle of the big game and things aren’t certain, in fact, things are looking downright scary, until the stirring locker room or sideline speech. It’s always the perfect solution, whether it brings them the win or reinforces the moral victory yet to come. Slow claps, team huddles, foot stomping, hand clapping. You need a rhythmic unified team moment. Step 7: Victory! Or moral victory! You must choose whether to end the film with either an outright victory: the underdogs overcame their challenges and actually won, which in many cases is subject to the real-life outcome of true-story films. Or, is a moral victory in the cards? Does the hero learn that it’s not always about winning, and that personal victories can be just as much of a win (with the suggestion that they’ll be even better next season, or sequel). Moral victories, by the way, are best encapsulated by the slow clap. Either way, the victory is the catharsis we’ve been waiting for since the very first moments of the movie. There it is. There you have it. 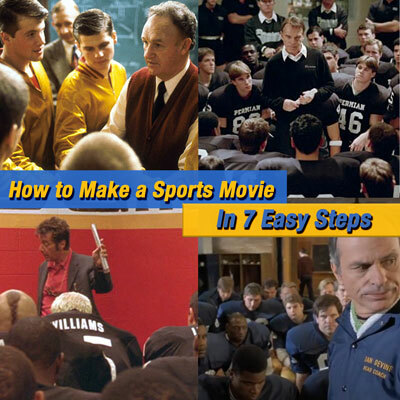 The rules to making every sports movie ever made. In a genre that is strongly connected to American cultural themes of individual responsibility, self-improvement, physical acumen, and tales of underdogs rising from the ashes, the sports movie is one of the defining American tales. As such, the conventions remain much the same from film to film, whether it’s a kids’ sports film, a drama, a comedy, a football team, a downhill racer, or a horse, the sports movie is a tried and true story that everyone knows.